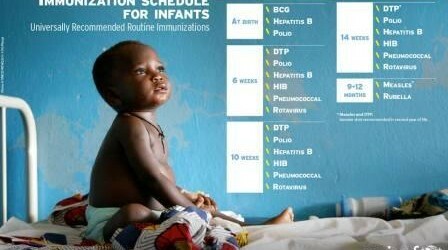 Good News for Kenyan Parents: The Rotavirus Vaccine Will Be Free Starting July 2014! While we’re still on the vaccine beat (as was my last post), I have some good news for all Kenyan parents and parents-to-be. You will be happy to know that the government will be introducing the Rotavirus vaccine in all health facilities starting July 2014. This vaccine will be free and available at all health facilities across the country. The Rotavirus vaccine is a 2 dose oral vaccine series which will be given at the same time as other vaccines –at age 6 weeks and 10 weeks. Rotaviruses are the most common cause of severe diarrheal disease in little children. Sadly, thousands of children die from Rotavirus infections each year. Currently, the Rotavirus vaccine is available at many private health facilities, but a fee (and not a small fee). I got the Rotavirus vaccines for my two sons –for the older one in 2011 and the younger one in 2013. I can’t remember how much the doses cost for my older son, but I remember each dose cost Ksh 2,800 for my younger son last year. 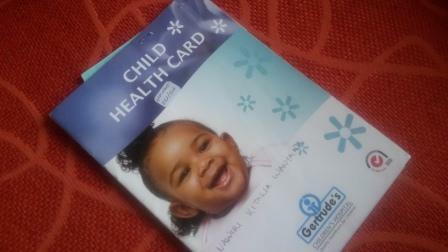 He got the vaccine at Gertrude’s Hospital Nairobi West Clinic. I passed by there today, and the price is still Ksh 2,800. Now, you will agree with me that Ksh 5,600 for both doses is not little money. In a country where more than half of the population lives below the poverty line –on less than one US dollar a day, coughing out Ksh 5,600 is just not possible for many. And that is why it is such a welcome relief that the government will now be providing the vaccine free of charge in all health facilities, where even those in the low income groups can access it. This is good news. But what is it about this vaccine that is so important, important enough to get the Kenyan government to include it in their national immunization programme? I will share with you some information that will help broaden your understanding. Rotavirus is the leading cause of death due to diarrhea in children who are aged below 5 years. It is highly contagious and spreads from person to person through hands and objects. Mild Rotavirus cases can be treated with fluids, salts and zinc supplements. However, severe cases of rotavirus can require hospitalization and could even lead to death. – Children in low income areas. Let’s put it this way: if the income of all Kenyans was divided into fifths, deaths due to Rotavirus in the lowest fifth (the poorest Kenyans) is double that of those in the upper fifth (the richest Kenyans). With the government vaccinating all children, it means that many more Kenyan children will live to celebrate their fifth birthdays, and many more birthdays after that. It also means that the health care burden caused by the disease will be reduced. It also means that Kenya will get closer to reaching MDG4 –that of reducing child mortality (though we’re only 7 months away from 2015). And by the way, vaccination against Rotavirus is not enough; it goes hand in hand with other strategies to keep the diarrheal diseases away. These include ensuring that children observe good hygiene and sanitation, get zinc supplementation and oral rehydration solutions when necessary. So for many Kenyan parents, the introduction of this vaccine at all health facilities is indeed welcome news. Let’s protect our children and do our best to give them healthy starts to life. Next articleYaaay! Mummy Tales Won at the Kenyan Blog Awards! Thank You! I salute you for standing up for the children of Kenya! We lose 14 children every day in Kenya alone from diarrhea associated with Rota virus! They need not Die and yes,…their dreams are as valid as those of any other child elsewhere in the world! millions of children have received rotavirus vaccine in the last eight years all over the world and the vaccine is considered very safe and effective. 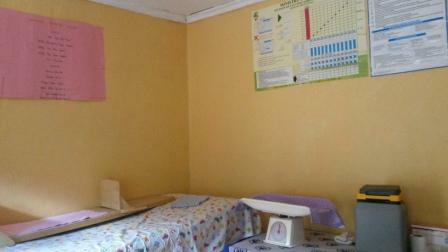 It is a great achievement to have it free of charge in our immunizing facilities. Its 1st july 2014 and we have it already. Thankyou UVIS.